William Haggas' Approve could come up with third place as Irish Field, the Spanish raider grabbed the victory honours in the Prix Robert Papin at Maisons-Laffitte. The treble trying Broox attempted to put up a challenge, but Irish Field was always working hard in the last furlong and got over the line in the lead. Approve, the Norfolk Stakes victor, appeared well defeated at the midway point but hung on powerfully in the final stages to indicate a step up in length could be on the cards. The 5 British travellers were also short of fortune in the Prix Eugene Adam as Alain de Royer-Dupre's Shimraan ran out a stunning victor. Clive Cox's duo of Xtension and Black Spirit made out better in fourth and fifth place in turn but at no point seemed to be looking like winners. 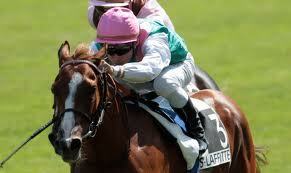 Also well defeated were Richard Hannon's Quadrille, Godolphin's Emerald Commander and John Gosden's Azmeel. In only his third event, the victor held off Czech contender Shamalgan under Gerald Mosse to win with ease.